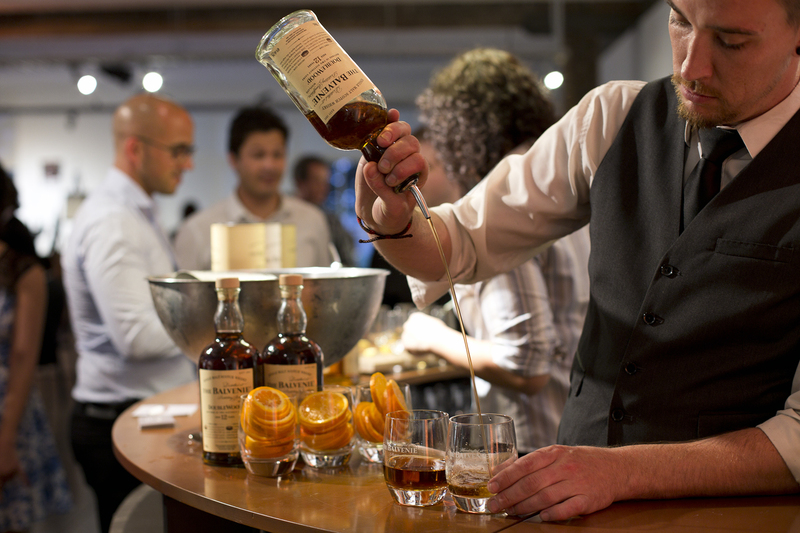 The Balvenie train rolled into Sydney late last year when their pop-up craft bar came to town. 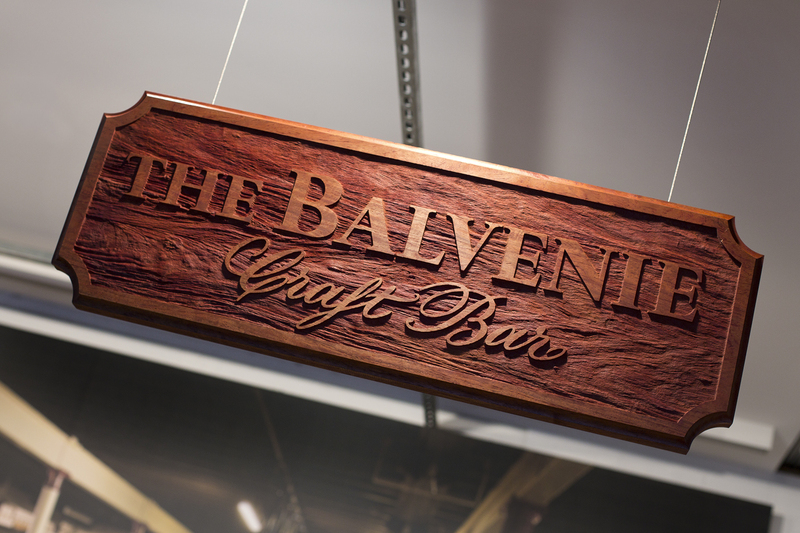 The idea behind the ‘craft bar’ concept is very much based on Balvenie’s own dedication to their craft, making whisky. Although they produce in the region of 5.6 million litres of spirit each year (making them one of the bigger distilleries in Scotland) there are still many craft elements to their production process. 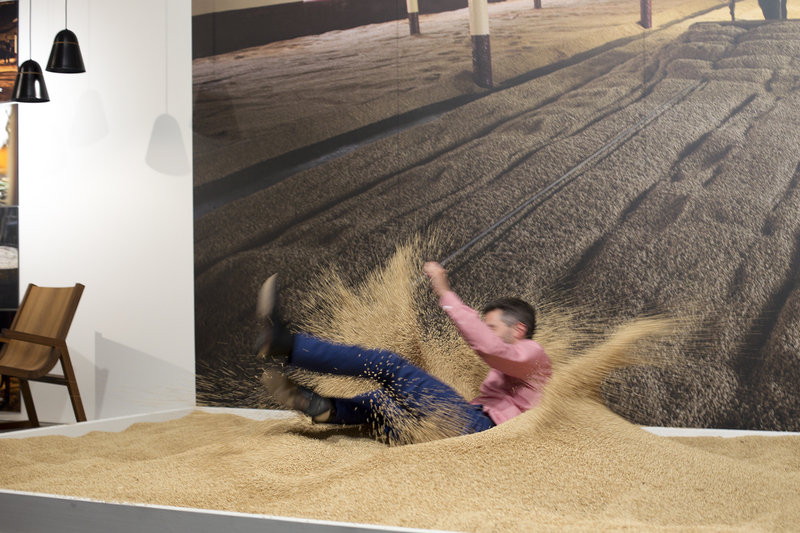 Such as traditionally floor malting a portion of the barley that goes into making their whisky and using their own on-site cooperage to craft the casks that will go on to hold Balvenie whilst it matures. The whole craft element is a tradition and association that they’re pretty proud of, so it’s nice to see them using that devotion to help local artisans on the other side of the world get some recognition as well. It’s not the first time we’ve seen this concept in Australia either. 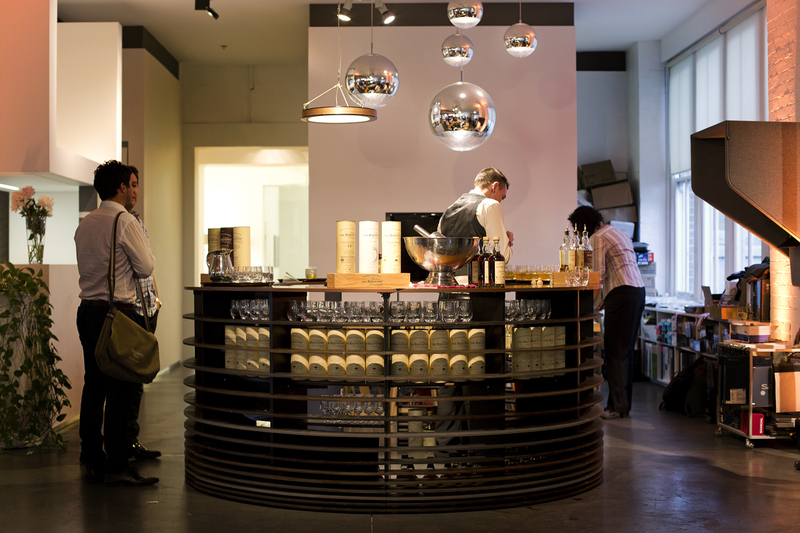 In 2013 the bar was set up in one of Melbourne’s many lane-ways and seemed to prove quite popular. The setting for this year’s craft bar was Zenith Interiors, a creative warehouse space in the inner-Sydney suburb of Surry Hills. 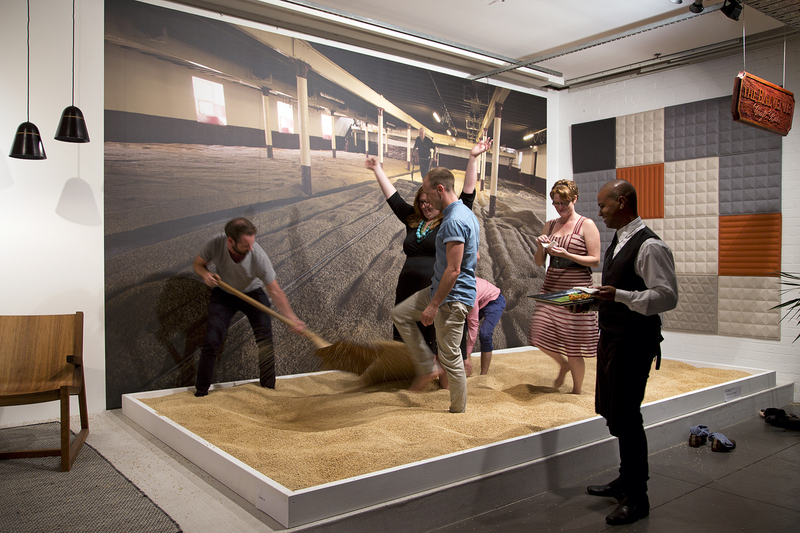 Entering the warehouse guests were greeted with a huge sand-box of barley (more on this later) whilst a smart trio of hosts served up some refreshing Balvenie cocktails. 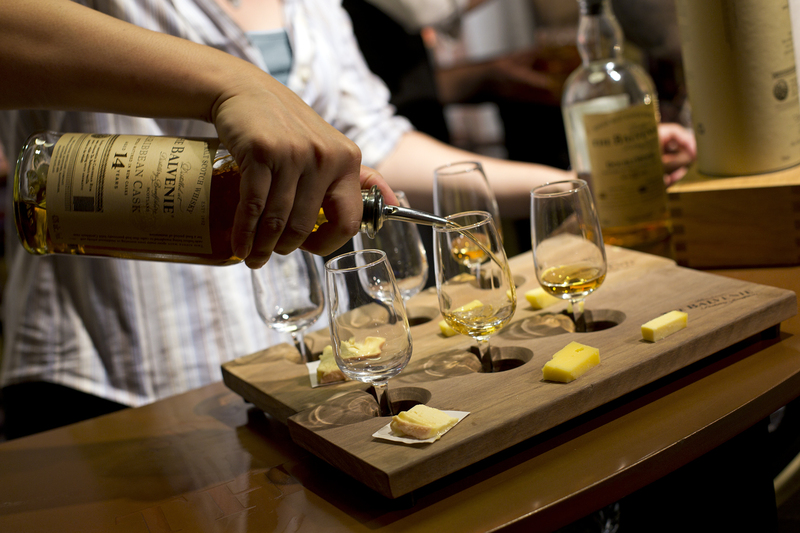 The craftiness continued with these cool little Balvenie tasting boards, which neatly held a trio of glasses and allowed you to move around the space and check out the exhibits whilst enjoying a spot of whisky and some quality cheeses. Speaking of exhibits, they were actually really visually interesting to inspect, ranging from the craft of traditional book binding, to tailoring, stone masonry, instrument making and more. 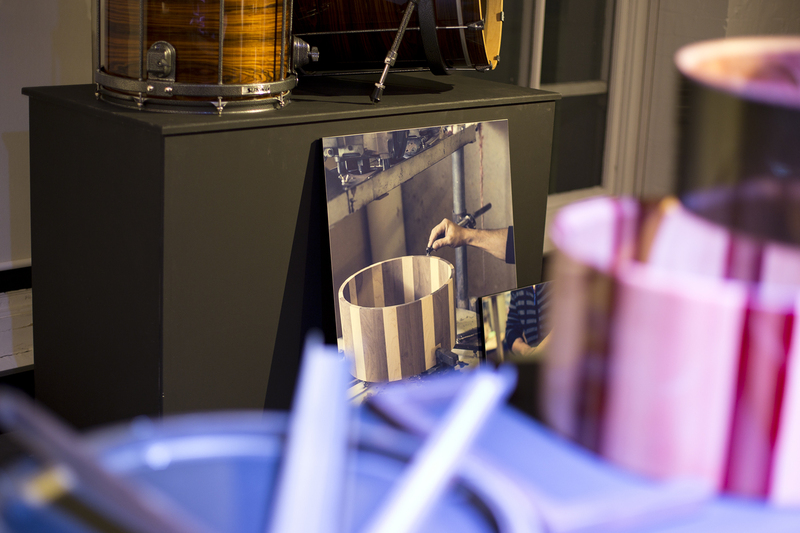 These drums from Sleishman particularly piqued my interest. The way they’re made reminded me of the oak staves in a whisky cask. I’m not sure whether the association was intentional or not, but they oozed top quality craftsmanship. 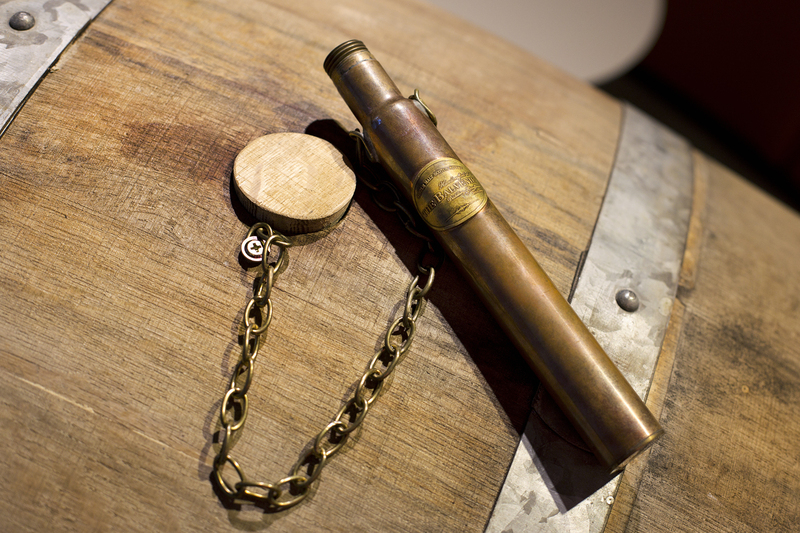 The Balvenie had some of their craftsmanship on display as well, like this copper ‘dipping dog’ or ‘whisky theif’ (used to retrieve whisky samples) which was sitting atop one of their own oak casks. By this point the Balvenie sample boards were looking a bit empty for some punters, so back to the bar to watch the bartenders exhibiting their craft. 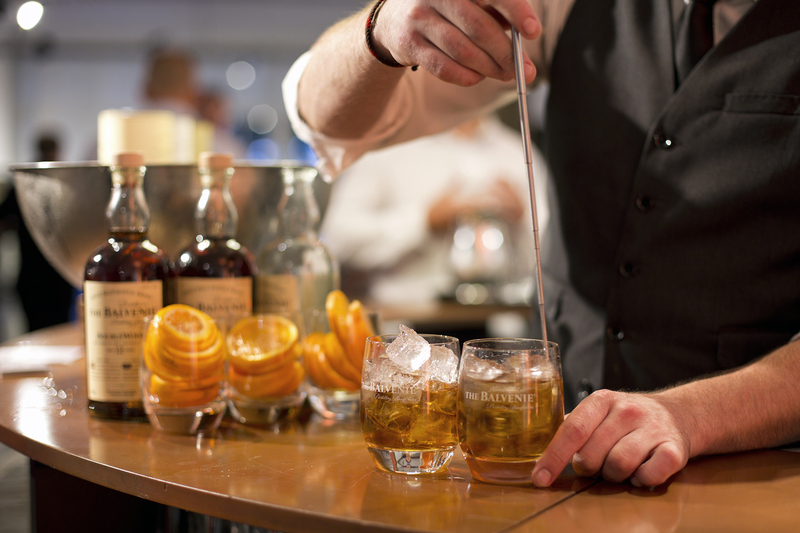 A take on the classic old fashioned this time ’round. 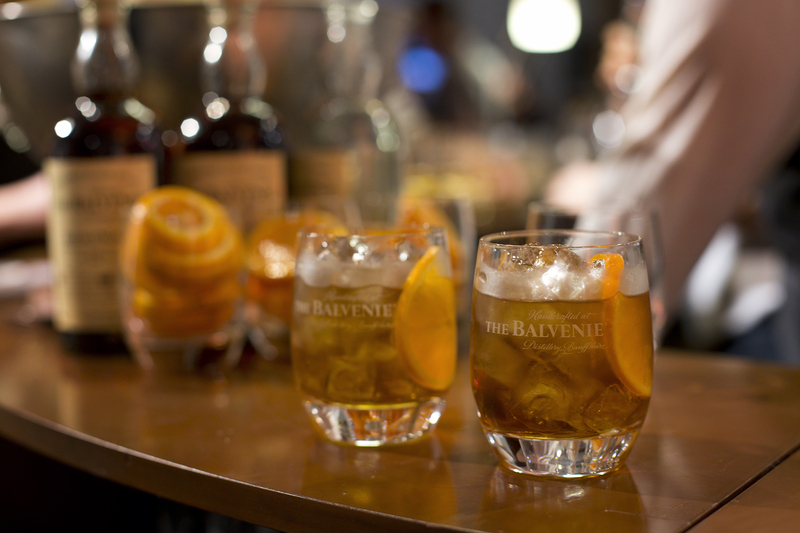 Two measures of Balvenie 12 year old Double Wood, one measure of Pedro Ximenez Sherry, a dash of plum bitters and some simple syrup – all stirred down over ice. I’m not always the biggest fan of whisky cocktails (I often find cocktails in general to be too sweet for my personal tastes) but these were dangerously moreish and a big crowd pleaser! 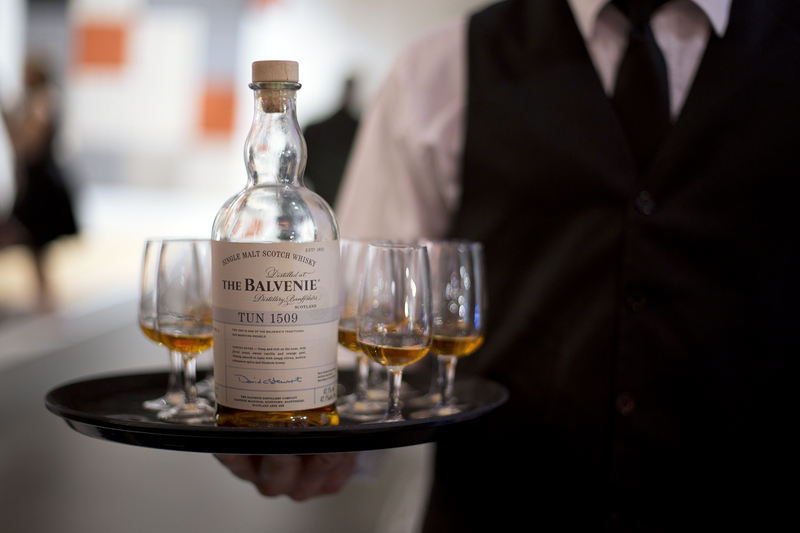 There was an extra perk of being invited along to the opening night of The Balvenie Craft Bar, and that was the official Australian launch of The Balvenie’s latest limited release, the TUN 1509. 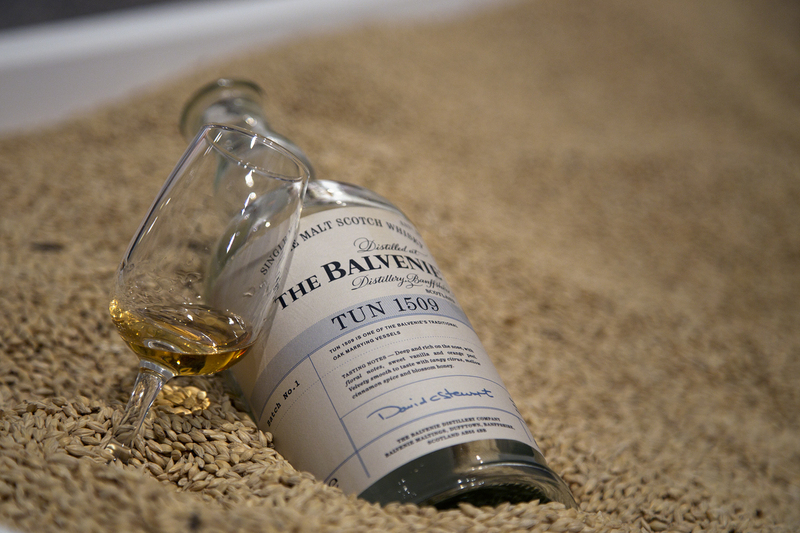 Keen single malt fans might be familiar with the ‘TUN’ moniker when it last appeared as the TUN 1401. Each iteration that came out quickly gained a cult following (and a collector price tag on the secondary market), with different batches destined for different markets around the world. It was always very reasonably priced for what it was (a high proportion of the whisky in it was very well aged! ), but after nine releases the range has been informally retired and replaced with the new TUN 1509 expression. The term ‘TUN’ referent to a big oak vessel (almost like a giant cask) into which numerous casks can be emptied and left to marry and settle together before eventually being bottled. From what I’ve heard and read, TUN 1401 generally held in the region of 9 to 11 casks, whereas TUN 1509 can hold in excess of 42 casks, meaning more bottles for more fans. Brand Ambassador, Richard Blanchard, gave a brief intro before the bottle was de-corked and waiters did the rounds with generous samples. I can’t say I’ll ever tire of the site of someone walking toward me with a tray like this. Tasting notes are always tough at events like this, but I managed to park myself on an Aeron desk chair (these creative people really know their seating!) and jot down the following. Fresh out of the bottle I found some rather unpleasant kerosene and metallic notes. Thankfully these dissipated and given some glass-time to open up the nose developed some nicely rounded notes of red apple skins, hints of spice, some honeycomb wax and old-style soft fudge. In the background; dusty library books and a hint of charred oak. Initial entry onto the palate was quite light and delicate but it opened up swiftly to reveal a lot of those notes from the nose – waxy red apples, red stone fruit, dried fruit, honey and soft fudge. Long and full of flavour with some spice and nicely balanced oak becoming more apparent as time went on. 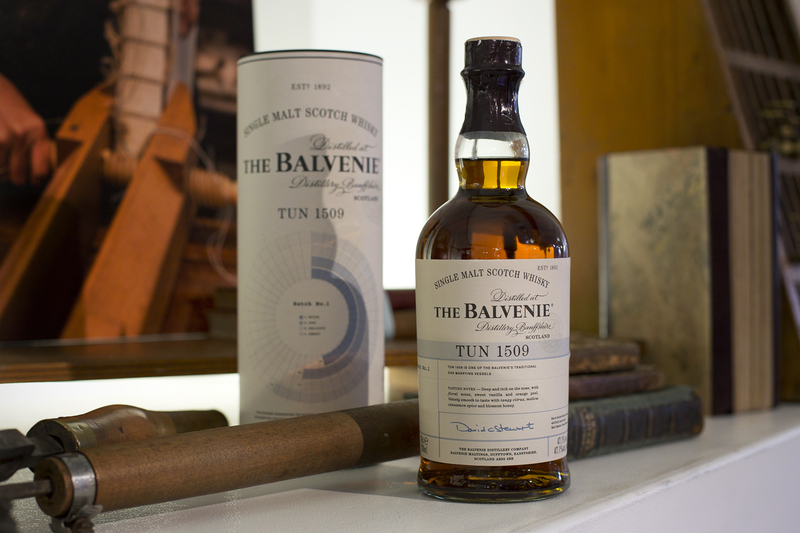 The Balvenie TUN 1509 Batch No. 1 is available in Australia now (in very, very limited quantities) at a recommended retail price of AU$420. Making my way out for the evening..
..it became very apparent that the barley pit had become something of a fun adult sand-box, with groups throwing handfuls of malt at each other and even making the barley equivalent of snow angels. And then one chap really figured out what it was intended for! One of the other great things about this whole set-up is that it wasn’t limited to a one-off launch evening. 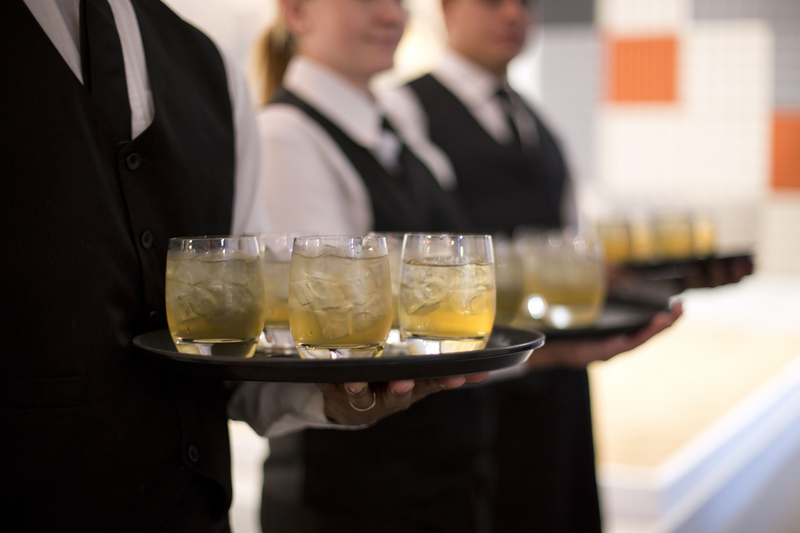 The craft bar was open for a four-day period, every evening and it was 100% free! 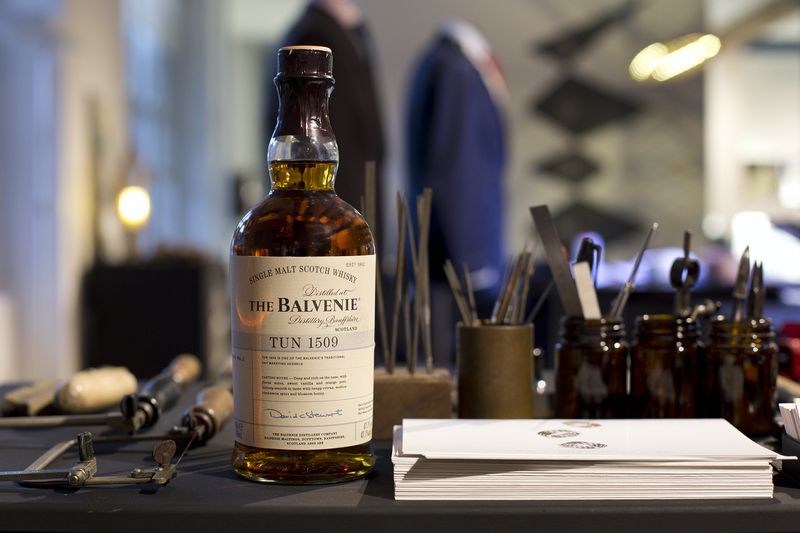 I’m not sure whether they will be holding it again next year, but if you liked the sound of all this, head on over to The Balvenie website and sign up to their Warehouse 24 club to be the first to hear about all of the other events they’ve got going on, both in Australia and globally.